When you start your wedding planning it can all seem a bit daunting. I often have brides and grooms ask me where they are meant to start, what to do first and how they should get organsied. Well today I have just the solution for you, as I introduce you to White Wedding Box. 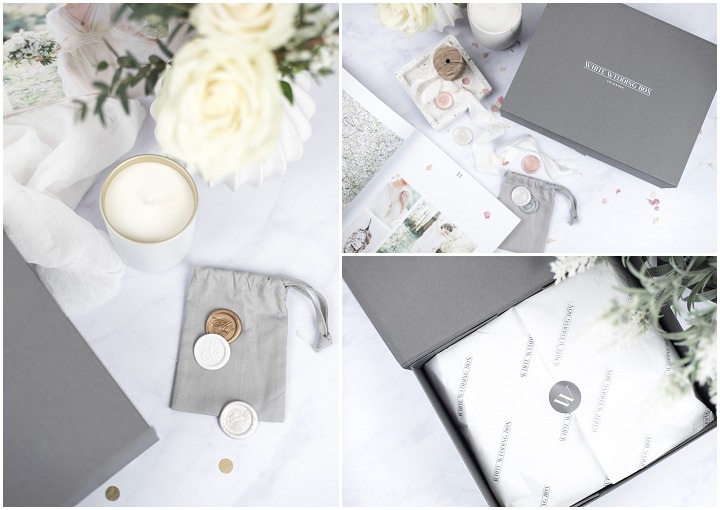 White Wedding Box is the brain child of Samantha White who wanted to create something stylish and practical to help couples kick-start their wedding planning, ‘a luxurious and modern planning experience’. What makes these boxes different to any others is that they are all themed to your specific wedding idea. 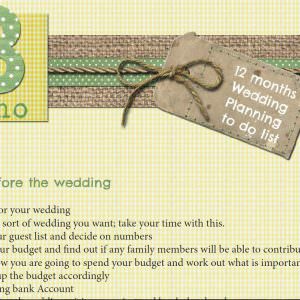 Jam packed with helpful hints and tips, ideas and planing tools, these boxes are the perfect way to make sure you stay on track with your wedding planning. I think they look super stylish and would be perfect for any Boho bride or groom. 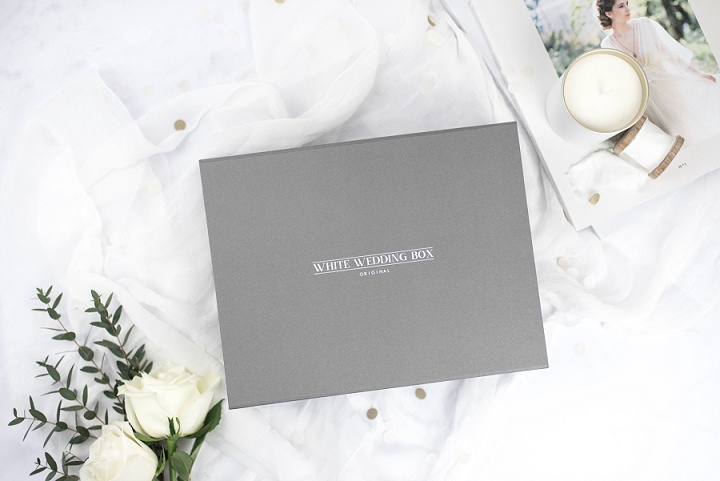 White Wedding Box is the UK’s first luxury collection of themed, wedding planning boxes. 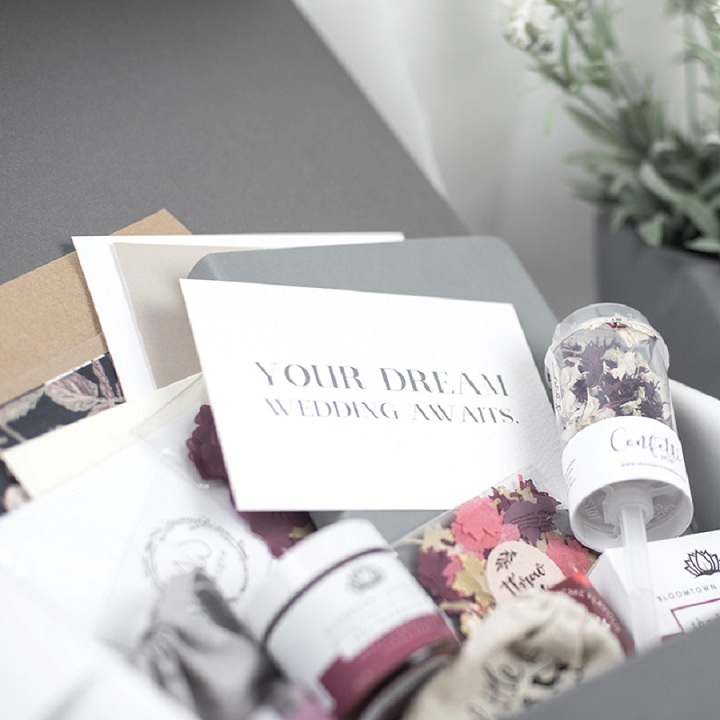 Each box gives brides-to-be a range of ideas for their special day, based on their chosen wedding theme. White Wedding Box began back in my final year of university. Trying to juggle planning my own wedding and my final year, I decided to combine the two and turned ‘wedding planning’ into my final major project… Fast-forward 3 years and my ‘university project’ has changed quite dramatically. Well, originally it was named ‘The Wedding Box’ however once married and with the new surname ‘White’, it only made sense to rename the brand, ‘White Wedding Box’. With the double meaning of a traditional white wedding and incorporating my new surname, it really gives it a personal touch. Oxfordshire but we ship to the UK, Europe, USA, Canada and Australia. Previously working at Notonthehighstreet as a Digital Designer opened my eyes to all the talented small businesses out there, working for themselves, doing what they absolutely love, every single day. That’s what gave me the confidence to take the leap of faith myself. What made you want to enter the wedding industry? Believe it or not, before I was engaged I had never looked at ‘wedding stuff’ venues, bridal gowns or even thought about what kind of wedding I would like. Since planning my wedding and getting married, I haven’t stopped looking. 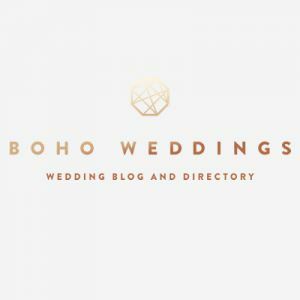 Everyday I find more inspiration, fall in love with more styled shoots, real weddings, blogs and photographs and I can definitely say I am fully indulged in the wedding industry. 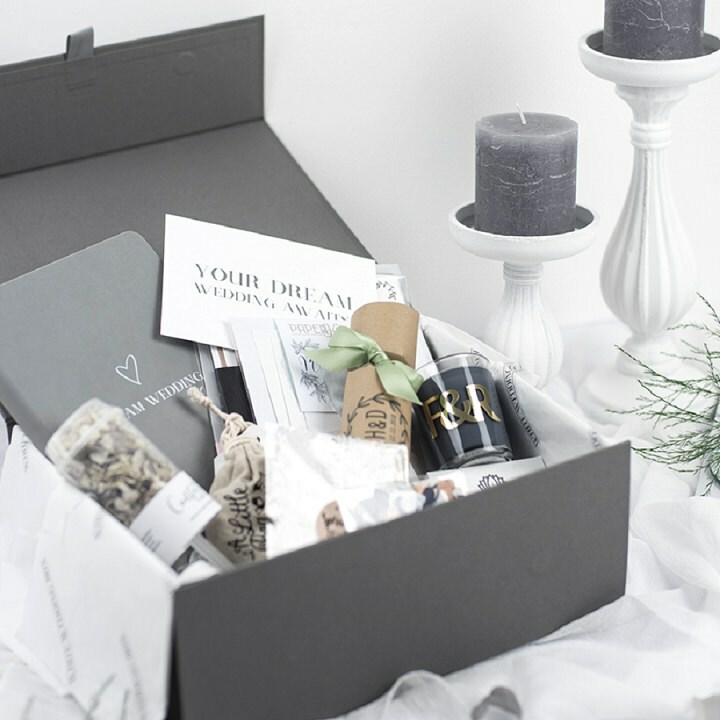 Even though each White Wedding Box theme is different, the brand itself is a luxurious and modern bridal planning experience. 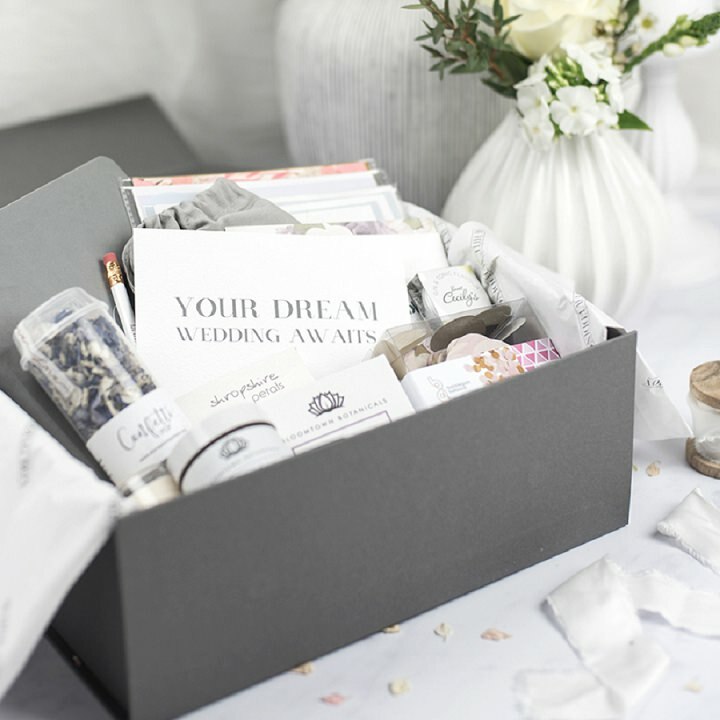 There are a few ‘bride-to-be’ boxes on the market; however there are no themed planning boxes quite like ‘White Wedding Box’. 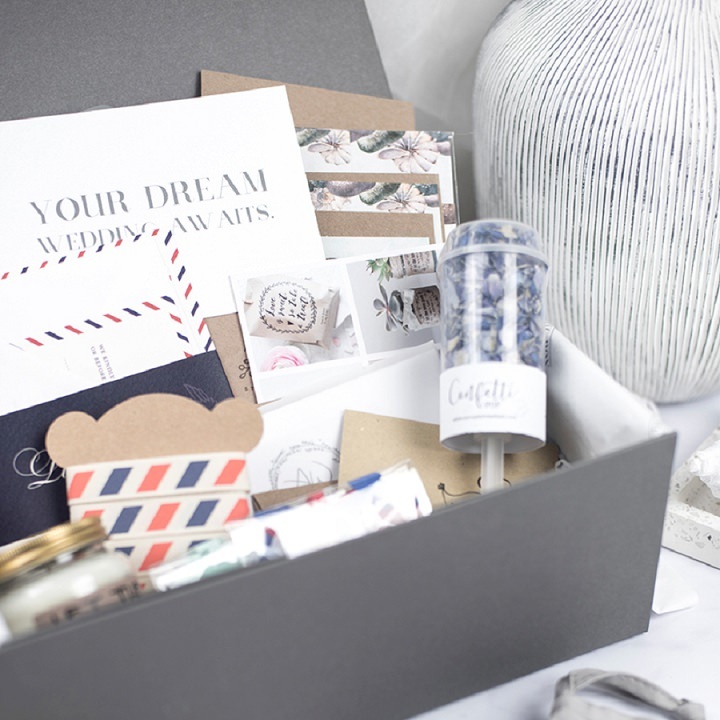 Each themed box is jam-packed of ideas for the bride-to-be to kick-start her planning journey and I am so happy to have found that gap in the market and make it my own. What’s in a White Wedding Box? 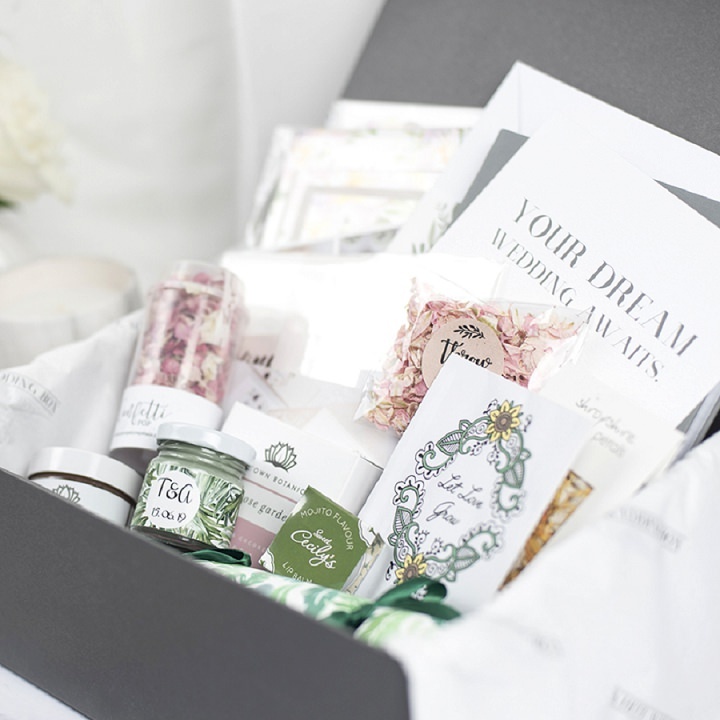 Within your keepsake White Wedding Box you will receive a stunning WWB-branded notebook, themed save the date inspiration, stationery suites, confetti samples, unique wedding favours, a small bag full of wax seals and (for a little pampering) a few beauty products. We’re proud to support small UK businesses. 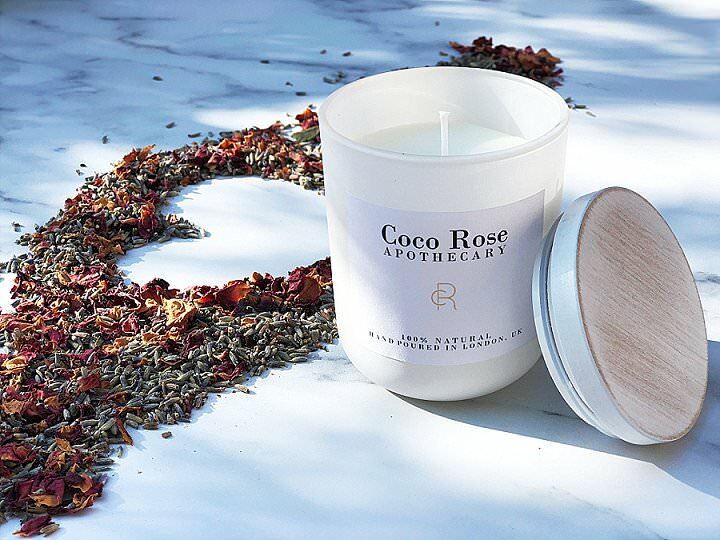 You’ll find each product within our White Wedding Boxes has been carefully sourced from an independent. We are lucky enough to have the most amazing wedding suppliers who are all equally as passionate about weddings. 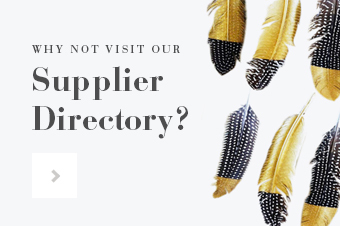 Our suppliers range from product makers, stationers, illustrators, printers, crafters, and painters and all have a unique product fit for the wedding market. 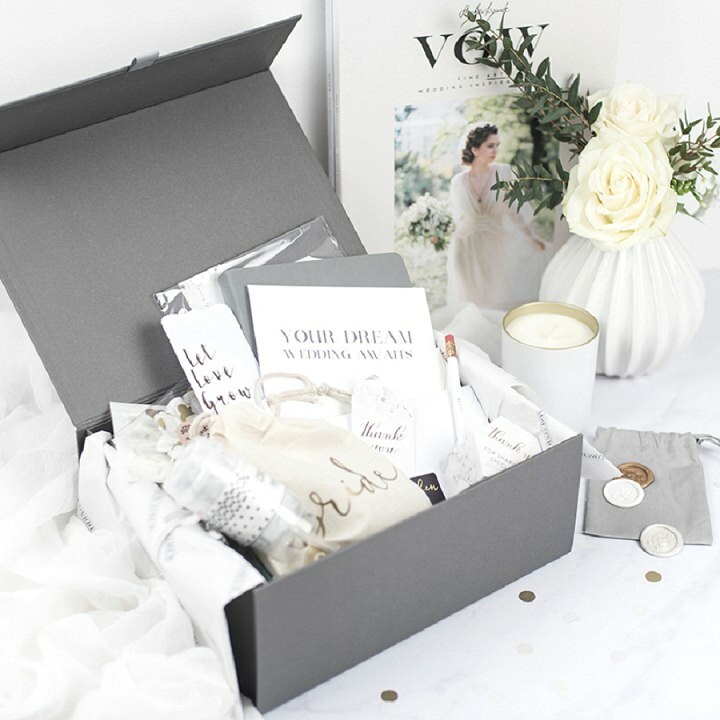 When is the right time to purchase a White Wedding Box? 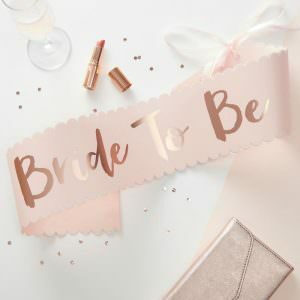 The best time to purchase a White Wedding Box would be once you are engaged and have started to discuss what theme wedding you and your partner would like. You then pick a themed box that would best suite your style, the collection has something for everyone with themes such as; Gold and White’, ‘Rustic’, ‘Travel’, ‘Spring’, ‘Summer’, ‘Autumn’ and ‘Winter’. Can you describe the style of each theme? 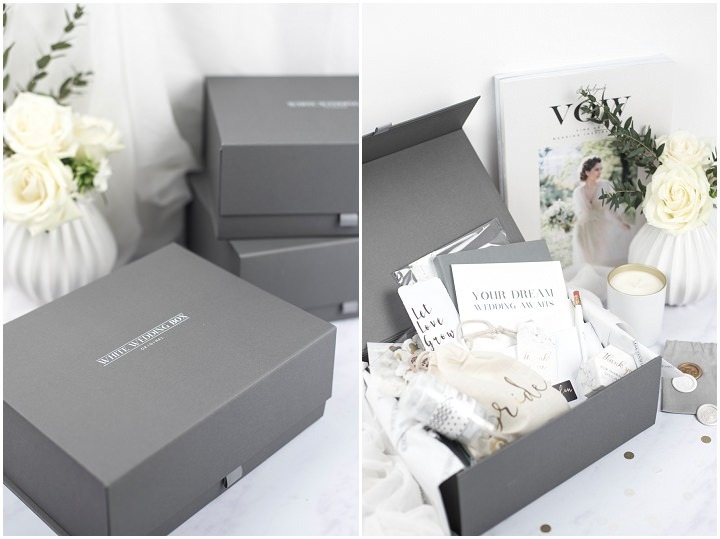 The ‘Original’ White Wedding Box is at the heart of the brand. It was the first curated box, based on crisp whites and golden tones; this WWB is the epitome of luxury styling. 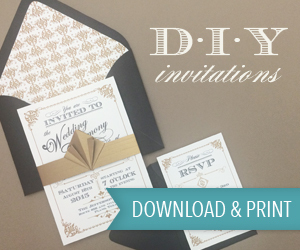 You can also expect to find gorgeous floral designs, paper cuts, marbling and beautiful foiling. The ‘Grace’ White Wedding Box is inspired by the Winter wedding season, celebrating crisp white, navy and muted green tones with added foils. This box embraces a variety of styles from typographic and watercolour to Boho illustrative design. 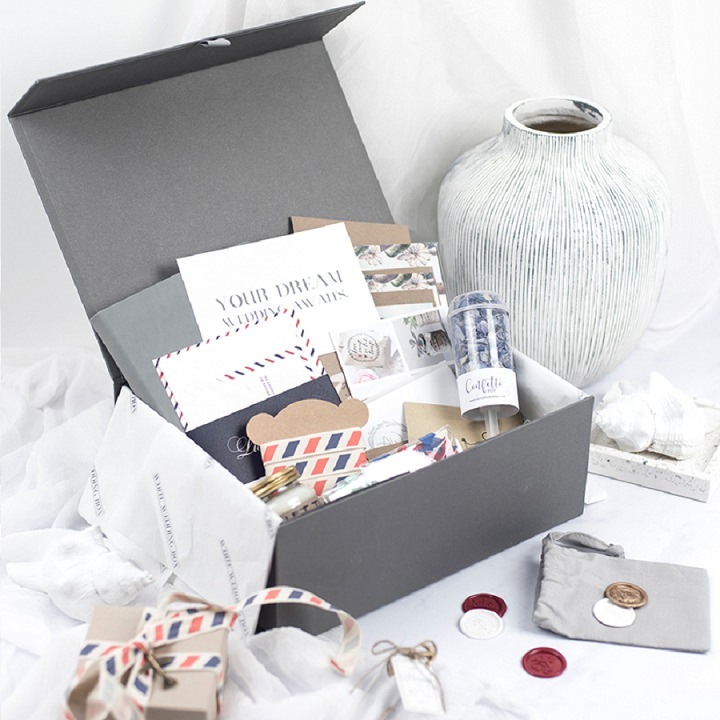 The ‘Skylar’ White Wedding Box is inspired by the travel themed wedding and celebrates adventure. Perfect for those couples that are either getting married abroad, by the seaside or just love to travel. 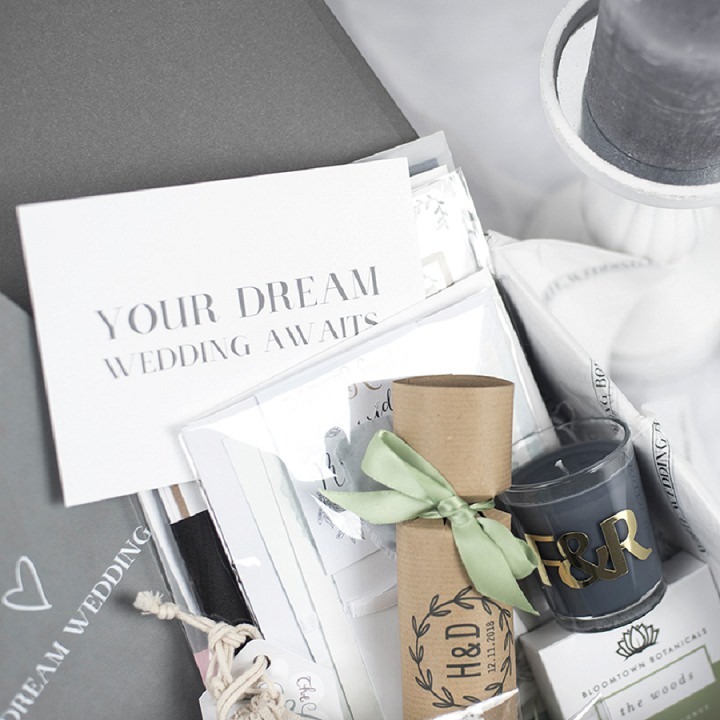 Can you gift a White Wedding Box? 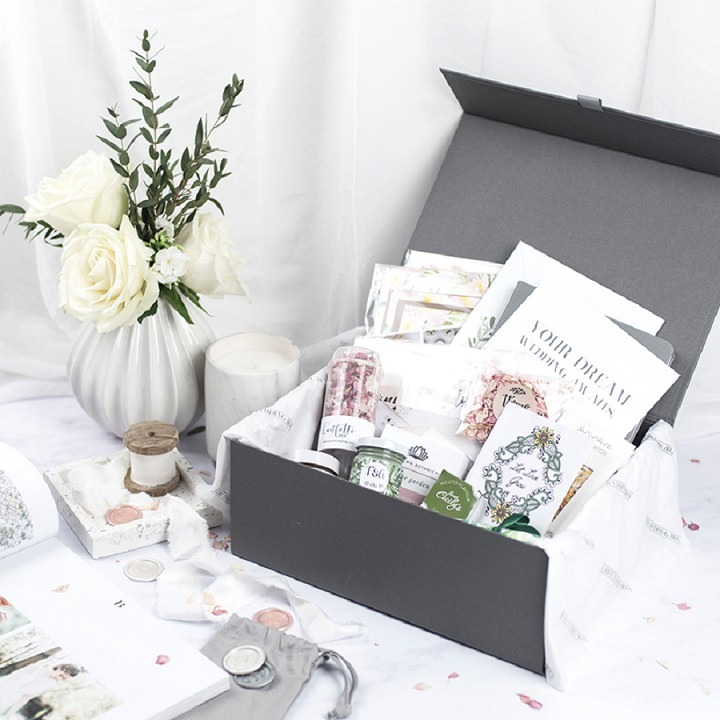 A White Wedding Box would make the perfect gift for a bride-to-be from her bridesmaids or family. 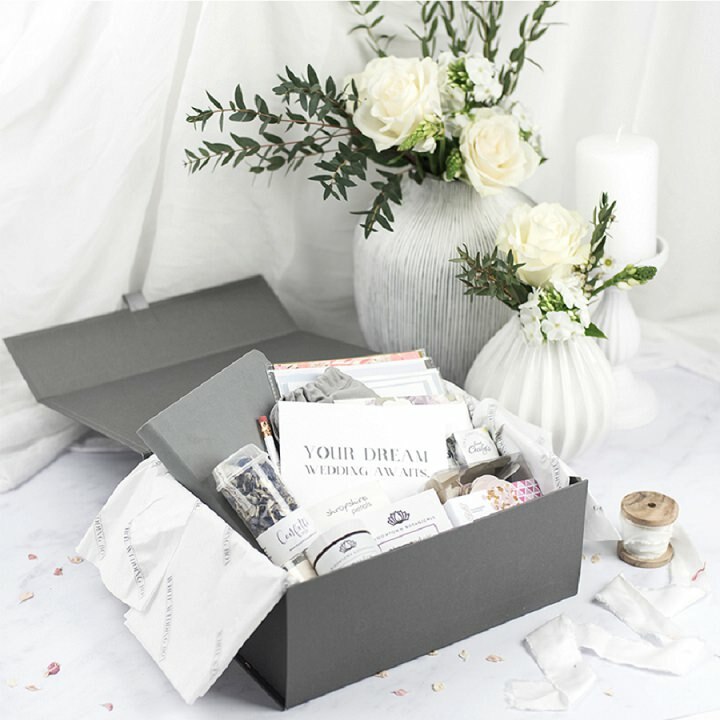 All boxes are gift wrapped as standard, if you are gifting a White Wedding Box, and would like to add a personal touch, you can add a free handwritten message for the bride-to-be. Any future plans for the brand? My future plan for the brand is to expand the White Wedding Box collection from 7 themes to 14 or even more. I currently have many new mood boards on the go but we shall wait and see. 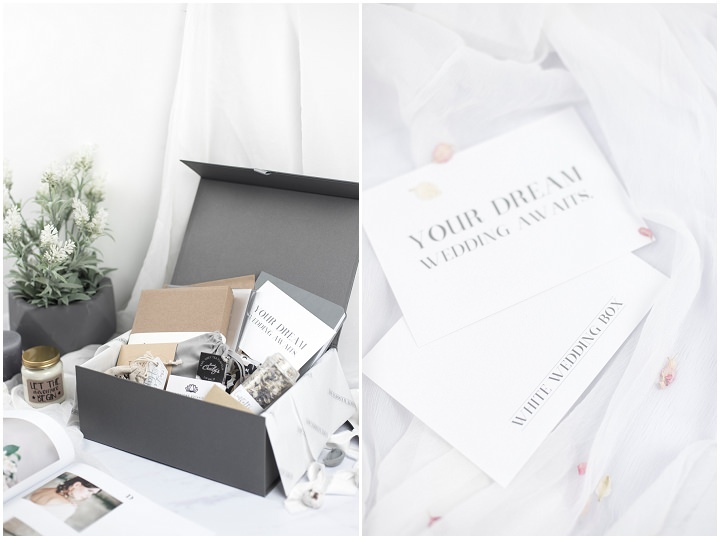 My absolute dream in the future, alongside expanding the themes, would be to design and create my own White Wedding Box products whether that is wedding stationery, favours, planners or other wedding day products. 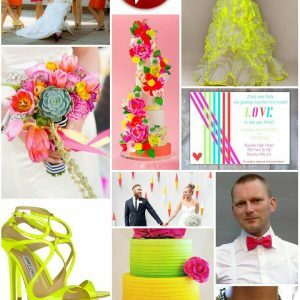 I think if I didn’t follow my dreams and start White Wedding Box, I would be still working as a Digital Designer at Notonthehighstreet, that and/or even setting up my own bridal boutique in Oxfordshire, I think it’s fair to say, that idea has come from watching way too much of, ‘Say Yes To The Dress’. What’s your scariest business moment? I’d have say the scariest moment was at the early stages of development and approaching the small businesses I loved and wanted to become a WWB supplier. At this time, I was just sending out an email proposal to them, so they had no idea what the future of the brand or boxes would look like. 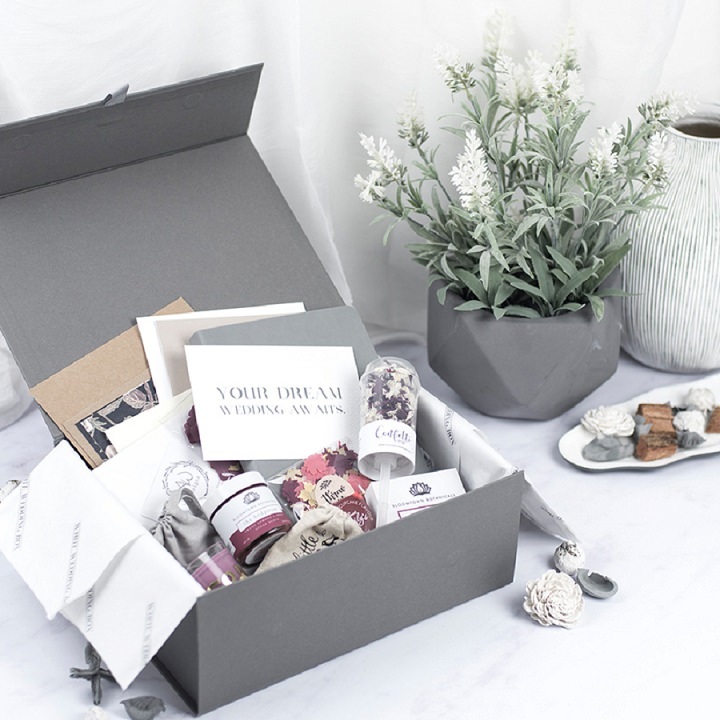 To have so many suppliers believe in me and the brand and agree to be a WWB supplier gave me so much confidence and enabled White Wedding Box to become a reality. What would you say was your proudest moment? I am so proud of what I have achieved so far, one of them is graduating university but I would have to say the proudest moment is marrying my husband in 2016. (Soppy Alert!) We have been together since school at the young age of 12, we have grown, learnt and experienced so much together, he is my soul mate and it was definitely meant to be. It depends what mood I am in but it would either be: loungewear and takeaway with the husband and our Cocker Spaniel Mylar or a day out with the family. I never leave the house without my phone; a Burt’s Bees in my back jean pocket and my glasses on my head… And probably a snack, I snack ALOT.